Well it’s about time Apple decided to officially announce a press event for October 4th. This now confirms and puts to rest any rumors that have been floating around the Internet. But what hasn’t been confirmed is whether or not the iPhone 5, iPhone 4S or any other similarly named device will be unveiled at the event. 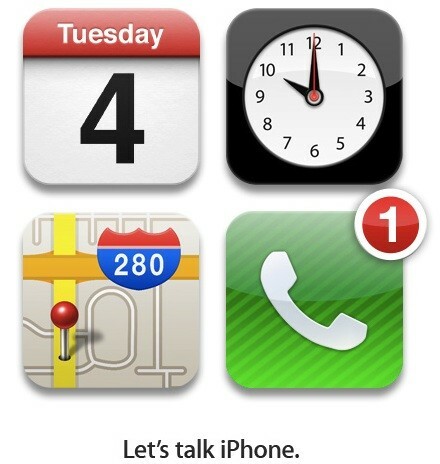 The rumor mills say two devices ,iOS 5, and perhaps iCloud will be revealed. Only time will tell if this will be the case. As customary for Apple, this is an invite only event and there most likely wont be a live stream available. So if you’re invited media/press personnel, you might want to be at Apple HQ in Cupertino, CA by 10:00AM. Everyone else, you may want to find a live blog to monitor or keep it here as we will be live blogging the event.